Prevnar 13 or Pneumococcal conjugate vaccine (PCV) is the only pneumococcal vaccine approved across the life span; this conjugate Vaccine is used to protect infants, young children, and adults against disease caused by the bacterium Streptococcus Pneumoniae (the pneumococcus). Prevnar 13® is the trade name in the United States, Canada, and Taiwan. It is the most widely used Pneumococcal Conjugate Vaccine in the world that is included in the pediatric National Immunization Programs in 102 countries. In 2009: Prevnar 13®*(Pneumococcal Polysaccharide Conjugate Vaccine [13 – valent, adsorbed]) was first approved in the European Union (EU) for use in infants and young children. In February 2010: the FDA approved the vaccine for the prevention of invasive pneumococcal disease and otitis media caused by Streptococcus Pneumoniae in infants and young children ages 6 weeks through 5 years in the U.S. In 2011: the FDA approved it for use in the “Active immunization for the prevention of invasive disease caused by Streptococcus Pneumoniae in adults 50 and older. In 2009: The European Medicines Agency approved Prevnar in Europe for the prevention of invasive disease, pneumonia and acute otitis media caused by Streptococcus Pneumoniae in infants and children from 6 weeks to 5 years of age. In 2013: Prevnar 13 was approved by the European Commission in adults aged 18 to 49 years. There are more than 90 types of pneumococcal bacteria and Prevnar 13 protects against 13 of them. These 13 types of pneumococcal bacteria can cause the most severe infections in children and about half of the infections in adults. Children at two, four, six, and 12-15 months of age routinely give PCV13 because children in this age range are at the greatest risk for serious diseases caused by pneumococcal infection. Prevnar 13 is given to prevent invasive diseases caused by pneumococcal bacteria that are Pneumonia, acute middle ear infections (Otitismedia), Meningitis and blood poisoning (Septicaemia). Children 6 weeks through 17 years of age (prior to the 18th birthday) for the prevention of invasive disease caused by 13 Streptococcus Pneumoniae Strains in the vaccine. 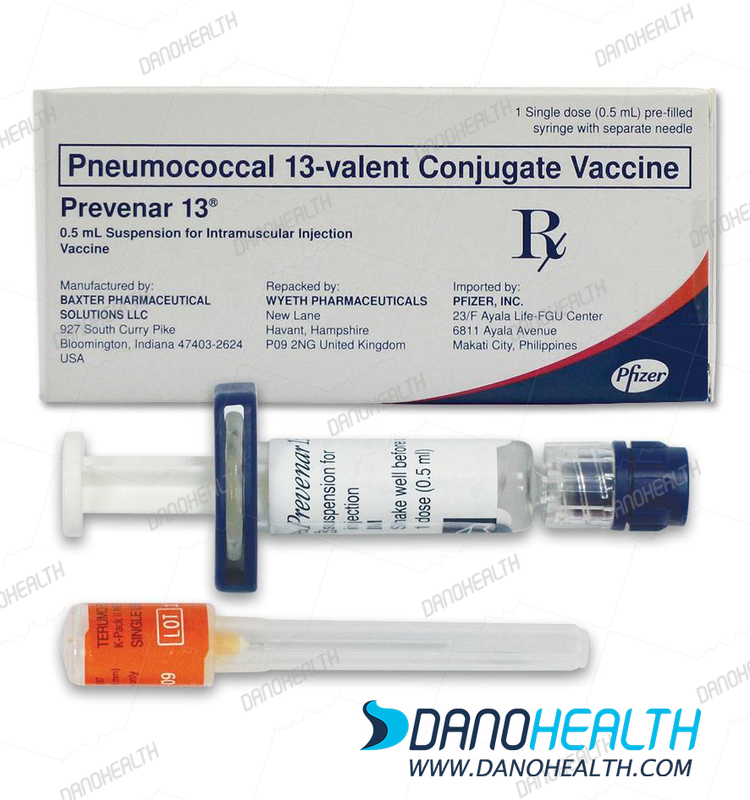 Prevenar 13 is a Pneumococcal Conjugate Vaccine (PCV); it contains extracts from 13 of the most common types of Streptococcus Pneumoniae bacteria that can cause invasive diseases such as Pneumonia, Blood Poisoning, and Meningitis. These bacteria can be classified as non-invasive that can cause infection in the lungs but are not detected in the blood concurrently or invasive when bacteria also enter the bloodstream (Bacteremic Pneumonia) or another normally sterile site in the body. Non-invasive forms of the pneumococcal disease are typically more common but the invasive types of disease are generally more severe. The vaccine helps to provoke the body’s immune response to these bacteria without actually causing the diseases. Prevenar13 stimulates the immune system to produce antibodies against the 13 types of bacteria; these produced antibodies will remain in the body. If the child is naturally exposed to these bacteria, the antibodies allow the immune system to quickly recognize and attack them, so that stops them from causing disease. According to the World Health Organization (WHO), Pneumococcal disease is the leading vaccine-preventable killer of young children worldwide; in 2008, it killed more than 500,000 children younger than five years of age alone and approximately ninety percent of these deaths occur in the developing world. 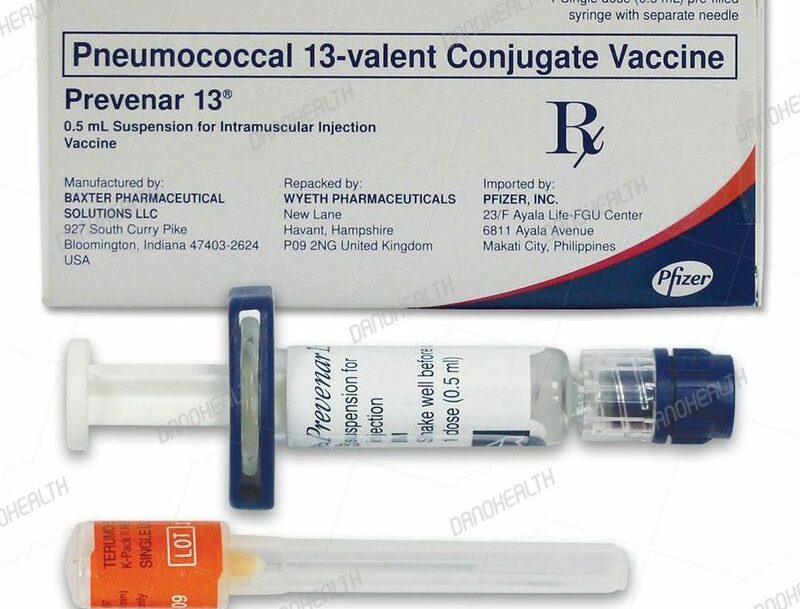 Prevnar 13 is an enormously successful Pneumococcal Conjugate Vaccine from Pfizer’s Wyeth division. Pneumococcal vaccine is the only vaccine that takes World Health Organization prequalification in the adult population. It is also the best-selling vaccine in the world. Nine months after approval of Prevnar 13 in the US, its profit reaches $2.82 billion. Prevnar price is about $136 but the medicine price for hospitals is lower than that. In 2012, the vaccine generated $3.7 billion in revenue for Pfizer, one of the main pharma supplier for hospitals and became the company’s fourth best selling product. Besides, the worldwide revenues for the vaccine increased by 2% in 2012, compared to 2011($3.66 billion. These all make Prevenar13 one of the current pillars of the company for future growth. 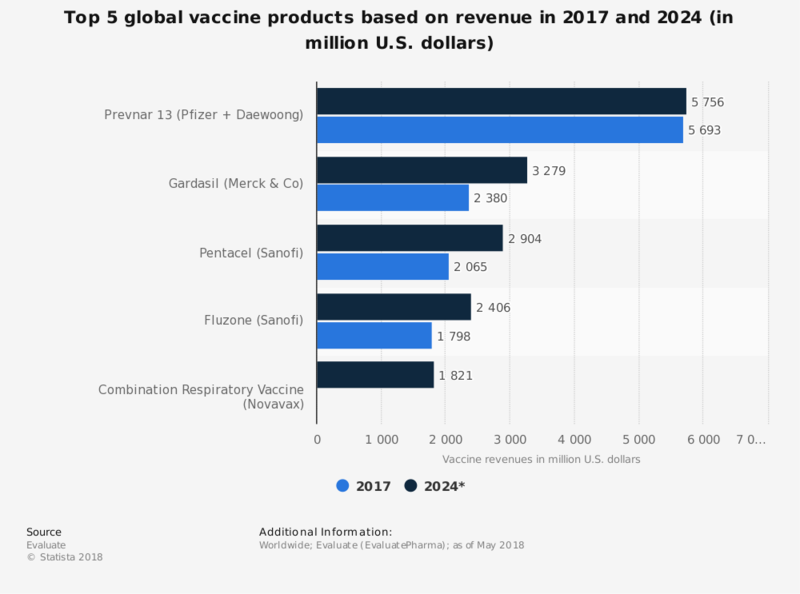 Analysts expect that the revenue hit a whopping $6.75 billion by 2018; they also predicted that Prevnar13 will capture nearly 17% of the entire vaccines market in 2020. According to Evaluate Pharma predicts, this Pneumococcal disease blocker and the world’s top vaccine in 2015 will continue to reign atop the vaccines world through 2020. The result of the study by Transparency Market Research (TMR) has shown that the global pneumococcal vaccines market will experience strong growth. It is expected that 8.3% CAGR become registered during the forecast period 2017-2026; and at the end of 2026, the global market reaches US$ 20,515.5 million revenues. It’s also expected that North America remain dominant in the global pneumococcal vaccines market. Introduction of the Pneumococcal Conjugate Vaccines (PCV) in the U.S. and Canada and the routine immunization schedule in these countries has proven to be highly effective in reducing Pneumonia and Pneumococcal disease. Increasing investment by the government and private sector organizations and the development of new vaccines are among the factors contributed to the growth in the region. Below statistic displays the top 5 global vaccine products based on their revenues worldwide in 2017, and a projection for 2024. It’s expected that Pfizer’s Pneumococcal Vaccine, Prevnar 13, generate some 5.76 billion U.S. dollars in revenues by 2024. Dano Health as one of a drug wholesaler for hospitals can provide Prevnar for hospitals and clinic.